Dungeons and Dragons is getting popular again, and maybe even more popular than it was in the 80s. Its been mentioned in various TV shows most notably Big Bang Theory and Stranger Things. Celebrities have been playing it in online shows. Now Dungeons and Dragons is about to enter a whole new frontier. 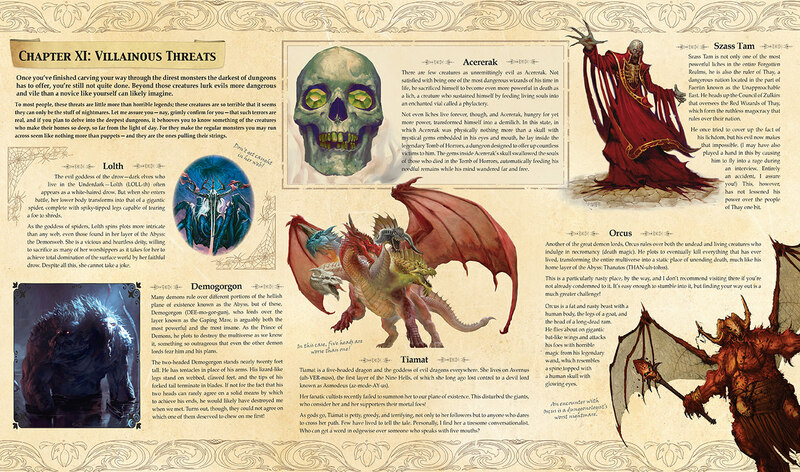 The famous game's world of Forgotten Realms has made its way into kid books through Dungeonology. If you are a parent you likely know of the Ology books. There is the Dragonology book about the study of Dragons, Fairieology about the study of fairies, Dinosaurology about finding an island where Dinosaurs still exist and now there is Dungeonology that explores the world of Forgotten Realms (D&D's main world) through the eyes of legendary explorer Volo. The book contains great maps, art, and the wry humor of Vollo as he takes on the world first hand and imparts lessons to his readers. The art in the book is fantastic and even includes letters from characters and other fun odds and ends. You can see from the below images that the book is similar to many Ology books with images and charts and help the reader understand the subject. The map of Forgotten Realms unfold to be about double the size of the book itself. My kids are starting to get into D&D and the normal gaming material can be fairly dense for children. There is also all of that troublesome math involved that can be a turn off to a kid. This book is very smart because its geared directly at kids and delivers the lore of the world, the coolness of the world without getting bogged down in stats and DC calcs. This books shows the fun of the world and might get them into the game and provide incentive to learn the math calculations. I personally love this book. It is a 10 out of 10 book in my eyes. BUT what is the troubling storm I see coming over yon horizon!?! Is that the demogorgon? Nay? Its..........a legion of confused D&D fans. Yes there is one problem with Dungeonology. Some D&D fans don't understand it. Quick message to D&D players Dungeonology is not a game book for Dungeons & Dragons, it is a kids book in the popular Ology series of books that explores various myths as though they were real. 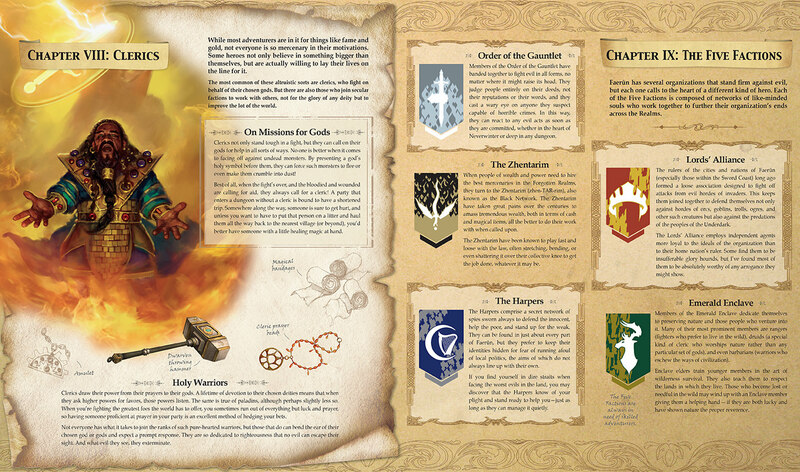 This is not a book to get to add lore to your dungeon or create a new campaign around. 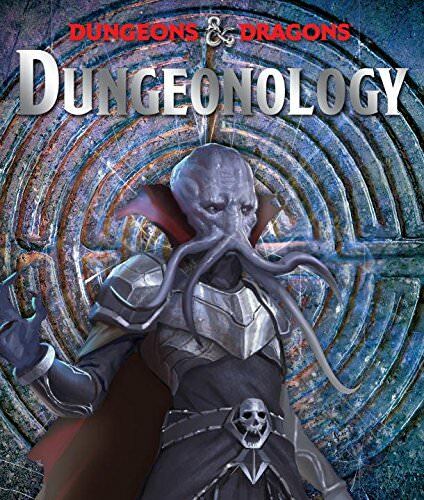 Unfortunately the Dungeonology book is being hammered by critics who have no idea what they purchased. 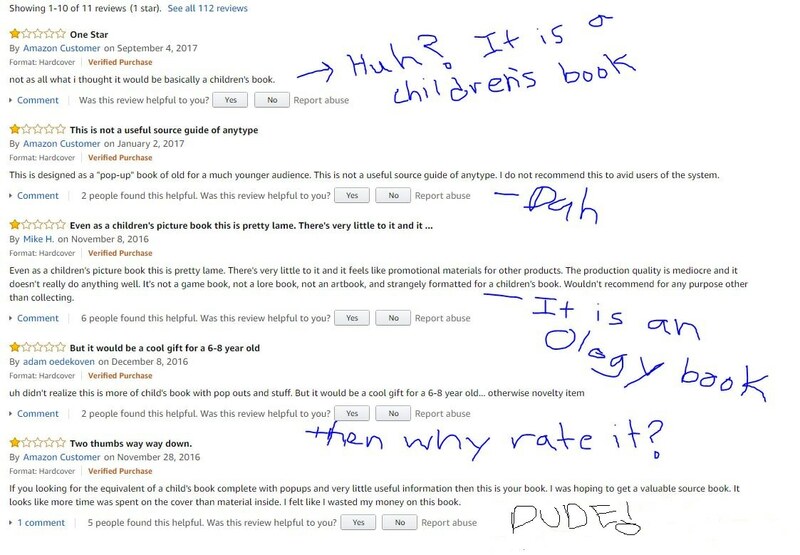 I really want to call these reviewers morons. However, I do understand how someone could not have heard of the extremely popular Ology line of kids books and bought this by mistake. However, do you need to take out your mistake on the book itself? You look pretty stupid if you ask me. I normally think D&D fans are an intelligent crowd but yeesh. If you are looking for a game book about Dungeons and Dragons this is not the book for you. It is a kids book. However if you have kids who have any interest in Dungeons and Dragons this is a great book.